Dear Readers, IBPS SO 2018 examination was approaching shortly, all aspirants were preparing aggressively to fulfill their Lifetime Ambition. In IBPS SO Exams Professional Knowledge Section plays a vital role. Many of our website followers were requesting us to provide study materials on it. 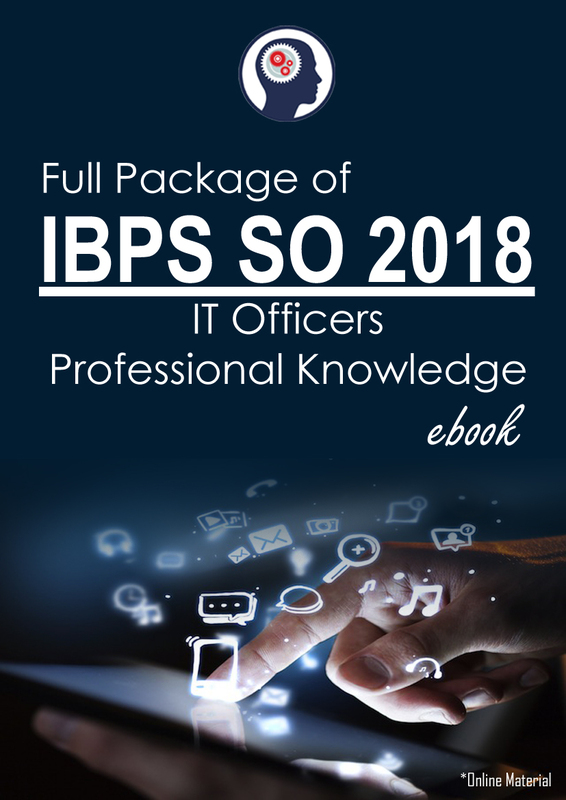 To make your preparation better we have provided our eBook on IBPS SO (IT Officers) Professional Knowledge. Candidates can download this eBook and make your practice perfectly to tackle the examination. The expert team of IBPSGuide.com has prepared the IBPS SO (IT Officers) Professional Knowledge Study Materials eBook. This will help you to fasten your preparation; it was perfectly prepared with detailed notes.